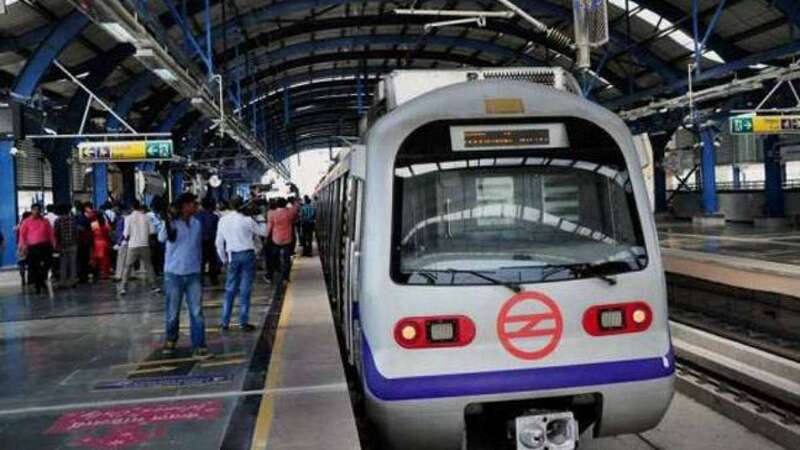 New Delhi : The Delhi government on Wednesday passed Delhi Metro Rail Corporation's (DMRC) 103-km long Phase-IV under which six new corridors and hundreds of new coaches will be introduced to reduce traffic and improve connectivity. The decision was taken in a cabinet meeting chaired by Delhi Chief Minister Arvind Kejriwal on Wednesday. "Good news for Delhi. After the revolutionary improvements in education, health, electricity, water, transport will now be extensively improved. It will also reduce pollution. It is my dream that Delhi gets counted in select cities of the world. Every Delhiite - whether rich or poor - would be proud of Delhi," Kejriwal tweeted as he shared the announcement tweet of Metro Phase-IV by Transport Minister Kailash Gahlot. The Phase-IV will commence on January 1 with the DMRC planning to execute all the six corridors simultaneously. The project completion date is estimated to be December 3, 2024. After its completion, the total length of the Delhi Metro in Delhi-NCR would drastically increase from the existing operational line of 350 km to be approximately 453.58 km. While the first 21.73-km elevated corridor will connect Rithala-Bawana-Narela, the second one will provide connectivity between Janakpuri West metro station and R.K Ashram covering a total of 28.92 km out of which 21.18 km will be elevated. The third corridor connecting Mukundpur and Maujpur (12.54 km) will be completely elevated. "Since the first three corridors of the Phase-IV are all elevated and cover around 55 kilometres in the national capital, the Delhi government has also decided to build one more 'elevated flyover' between the metro track and the main road," Deputy Chief Minister Manish Sisodia told the media here. He said that this plan will form a three-layer public transport system and provide better traffic flow, "since wherever elevated Metro corridors have been constructed it has been experienced that construction of roads below is impossible later on". "While these elevated road corridors will be constructed by the DMRC, the Delhi government will bear the entire cost," Sisodia said. The remaining three Metro corridors include 12.58-kilometre long underground corridor connecting Inderlok and Indraprastha, 20.2 kilometres long Aero City-Tuglakabad corridor, and 7.96 kilometres long Lajpat Nagar-Saket G-Block. In the cabinet, it was also decided to bring in additional 334 rolling stacks (coaches) to meet the overwhelming traffic in the existing Phase 1, 2 and 3 of the Delhi Metro. "Currently, some metros have six coaches and some have eight. There is a lot of crowd on some lines and metro frequency have also not increased. So, we will add these extra coaches to the existing lines wherever there is excessive traffic," Sisodia said. By doing this, he said, 203 coaches will be added to every metro line. "Adding new rolling stocks could also lead to increased metro frequency," he said. In the Rs 46,845 crore Phase-IV plan of the Delhi Metro, the Delhi government will provide a total of Rs. 9,707 crore during the next five years. This year (2018-2019), the Delhi government will release 1,100 crore for Phase-IV. "The operating losses if any, will be shared between the Delhi government and the Central government in a 50:50 proportion," a Delhi government statement said.